It’s hecka krange how different a word sounds when you accidentally type the letter K instead of O. Right? Wow, this post veered off topic straight out of the gates. It’s October in SF, the June of our year. Weddings, baseball, hot weather. But mostly baseball. 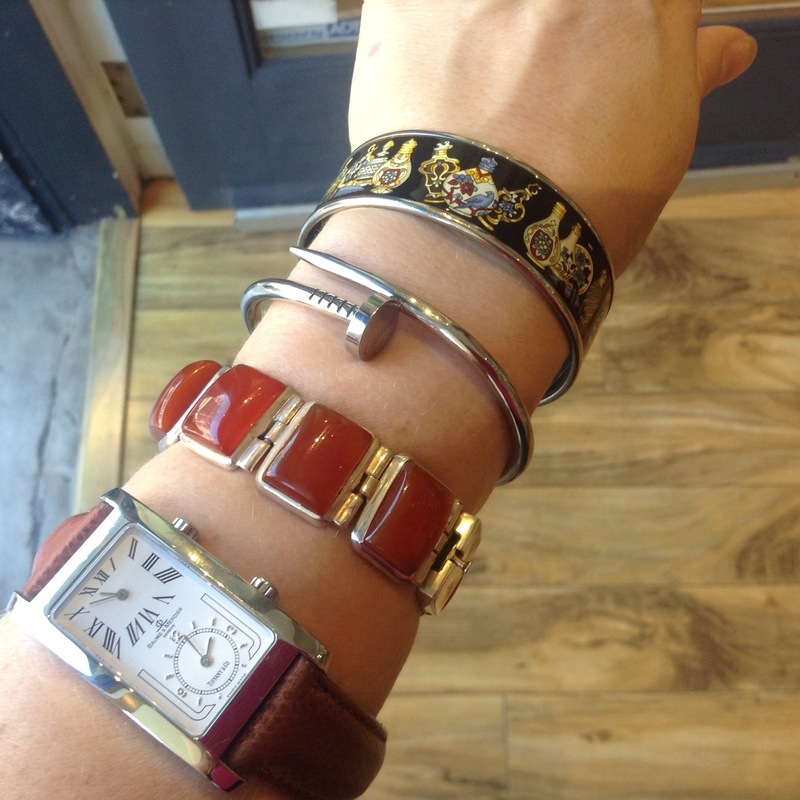 So today’s bangles are slightly Giants themed. Orange and black because we won the wild card last night and we’re heading to the playoffs. On my wrist: my dad’s other watch, a silver and agate bracelet from Mexico, faux Cartier clous, and Les Flacons de Parfum. Beautiful, beautiful watch. The first bracelet is stunning!